Malik Jefferson was a star linebacker for the Texas Longhorns. He was named the 2017 Big 12 Co-Defensive Player of the Year. Jefferson was selected in the 3rd round of the 2018 NFL Draft by the Cincinnati Bengals. 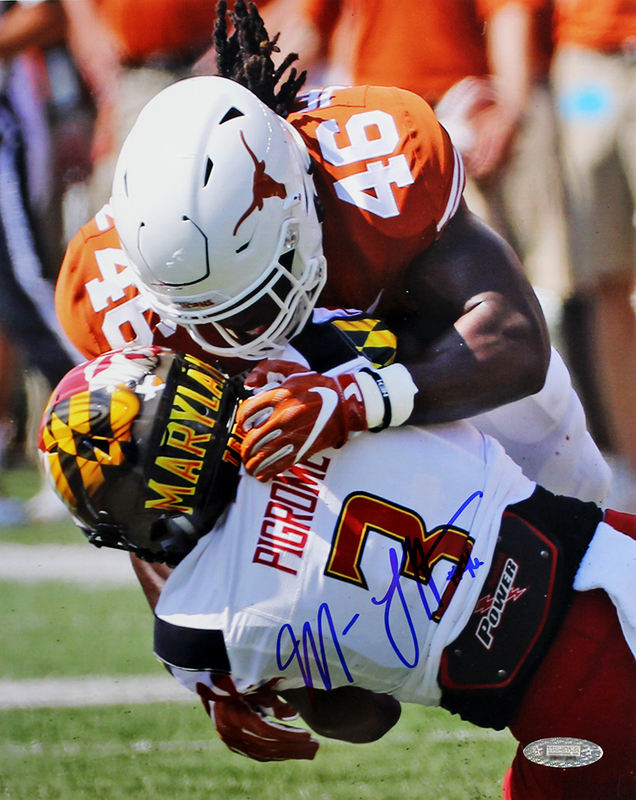 This University of Texas Longhorns 8x10 photo has been hand signed by Malik Jefferson. Each autographed photo includes authentication from TRISTAR Productions.